To get your own app by using MWB Global WebView App For iOS. 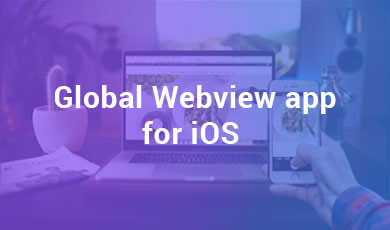 Global WebView App is an amazing application for all iOS users to turn their responsive website into mobile app. 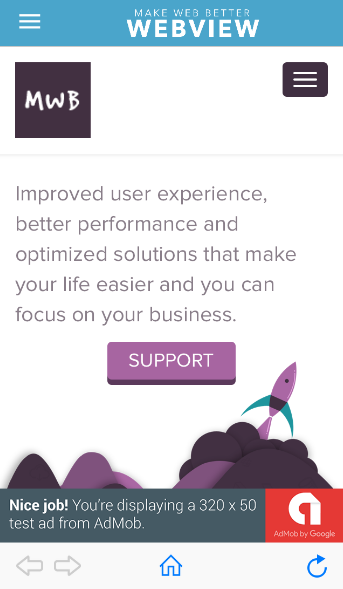 This app is super simple and easy to customize, you just need to replace the existing URL with your own and your Global WebView App For iOS is ready. This app has many useful built-in features and services. 1. 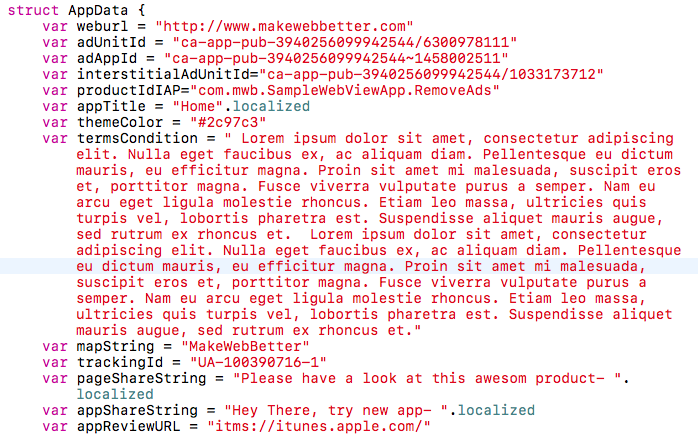 Native iOS activity indicator while loading your URL. 2. Custom error page when there is any error while loading pages. 4. Toolbar with back, forward and refresh buttons. 7. Google Admobs with all devices screen size support. 8. Push notification with multimedia support. 9. 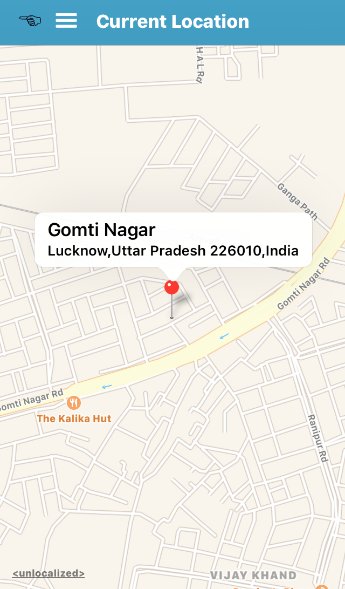 Google map for contact details. 12. Added home button in Navigation tool bar to get back to the home page. 13. Added banner and interstitial admobs. 14. Online Mp3 and video play or download. 16. In App Purchase to remove Ads. 19. Right to Left Language Support (Arabic). 20. Current Location of user (GeolLocation). 21. External Intents for phone call, sms, email. 22. Minor bug Fixes and performance improvements. 1. If you don’t have installed cocoapods in your mac. please run this command to install it. Sudo gem install cocoapods. 2. Now go to the project root directory from Terminal. 3. Run the following command “pod install”. 4. Open project with .xcworkspace file. weburl- Give the base url of your website. 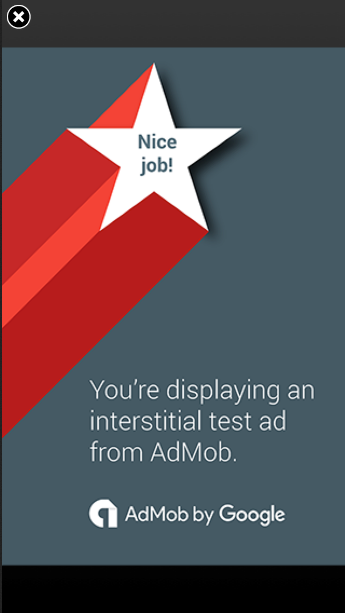 adUnitId- Ads Unit Id generated by google admobs. adAppId- Application Id generated by google admobs. appTitle- Give the Application title. 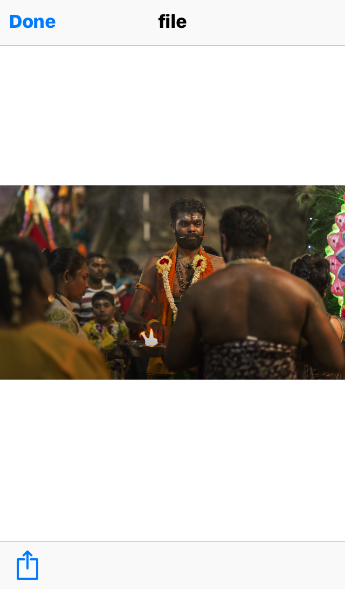 themeTitle- Theme color for header section. termsCondition- Just provide terms and condition for your app. mapString- Map String to show your organization details on google map. trackingId- Tracking Id to enable google analytics. appShareString- String, you want to share along with your app download url. 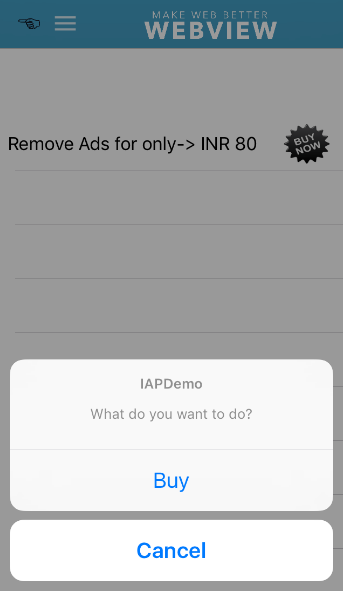 productIdIAP- Here you can give the URL for remove the Ads. appReviewURL- Here you can give the URL for review the app. Open SampleWebViewApp.xcworkspace with Xcode 8.2.1 or later. Sign in with apple developer account to enable apple push notification services. Go to AppSourceDataViewController.swift file to give all details. Under AppData give values for AppData structure variable. Open project in Xcode and then go to Project Navigator and select top item in it named as project name. Select capabilities tab and turn push notifications, background modes on and in background modes select Remote notification. Open launchpad in your Mac dock and open KeyChain access. Select KeyChain Access in menu items, in certificate assistant, request a certificate from certification authority. Fill all details and then you will get a .certSigningRequest file. – Go to developer.apple.com, and sign in with your developer account. IDs and select the App ID for your app. Under Application Services, Push Notification should show as Configurable. Click Edit and scroll down to Push Notification in Development SSL Certificate, click Create Certificate and follow the steps to create a CSR. Once you have your CSR, click continue and follow the steps to Generate your certificate using the CSR. Finally, download the certificate and double-click it, which should add it to your KeyChain, paired with a private keyBack in the member center, your App ID should now have push notification enable for development. Now export this file from KeyChain then you will get .p12 file. Now, in push.php replace deviceToken with your own, which will be generated on launching your application on real device and give the .pem file name in stream_context_set_option function, in place of second parameter. 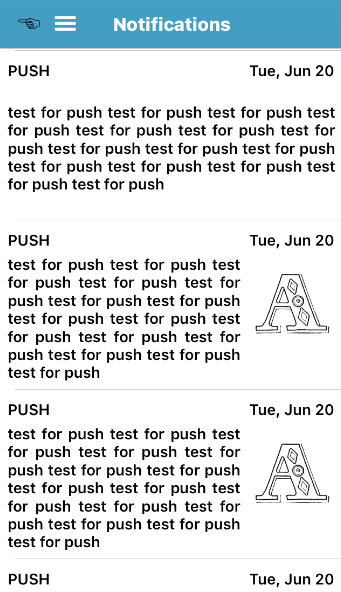 – In body field the text for notification. – In title field the title for notification. – In attachment-url give the image or gif url. Add your .pem file and push.php file to your server. Now you can run push.php file to send push notifications. Splash Screen is startup screen for the application which displays for fractions of seconds. 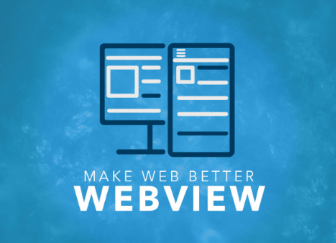 After load your website Global WebView App display the website content in webview content. 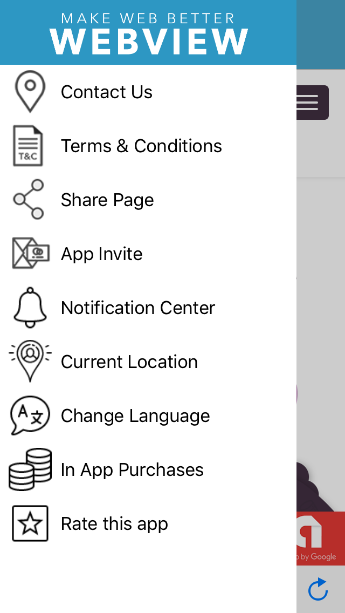 Here we have to provide some navigations i.e; Contact Us, Terms & Conditions, Share Page, App Invite, Notification Center, Current Location, Change Language, In App purchase and Rate this App. You may also add the sections in navigation drawer as your requirements. In Notification Pannel you can find your previous notifications with date. 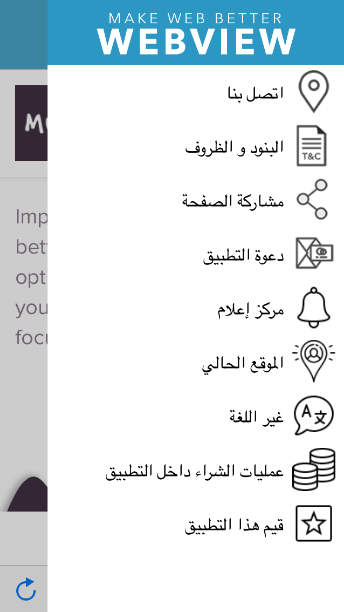 In Right to Left Language Support section you can change your app lauguage in Arabic format. Here you can view the Ads with country loaction by Google. 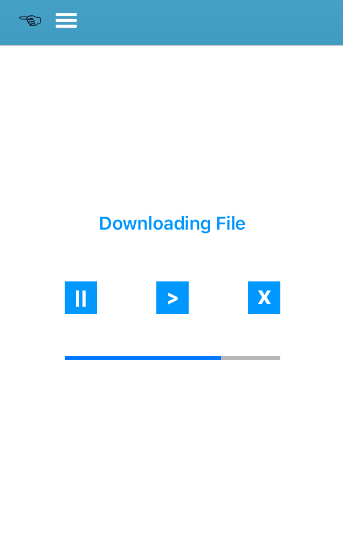 In Download Manager section we provide the option to pause the downloading file. Here you can watch your downloaded file. In this section user can find the identification of the real location of your site, and you can also check the geographic location of an object, mobile phone or internet connected computer terminals. In this section you can pay for remove the Ads.